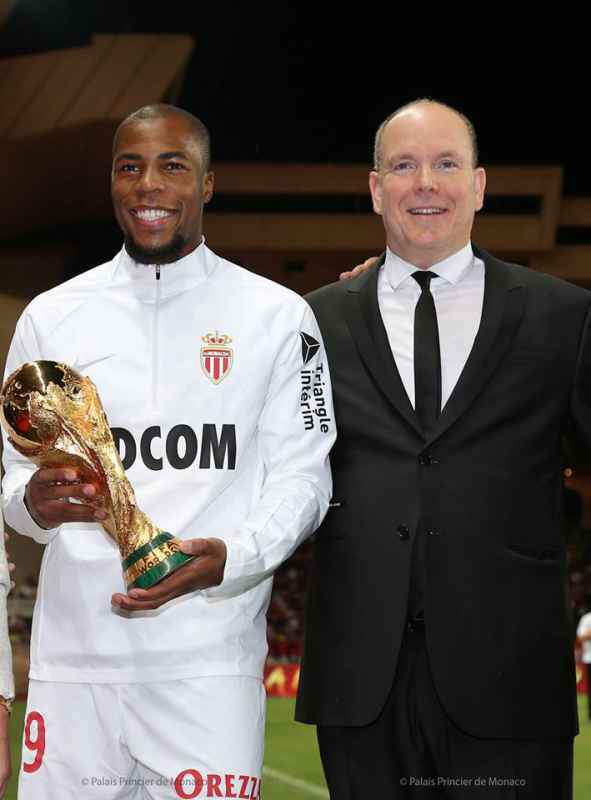 Before the kick-off of the AS Monaco / Olympique de Marseille game on the 2nd of September, French international footballer Djibril Sidibé, who plays for AS Monaco, and Bachir Nehar, steward for AS Monaco and France, were honoured by the Professional Football League (LFP) for their FIFA world championship title, which they won this summer in Russia. 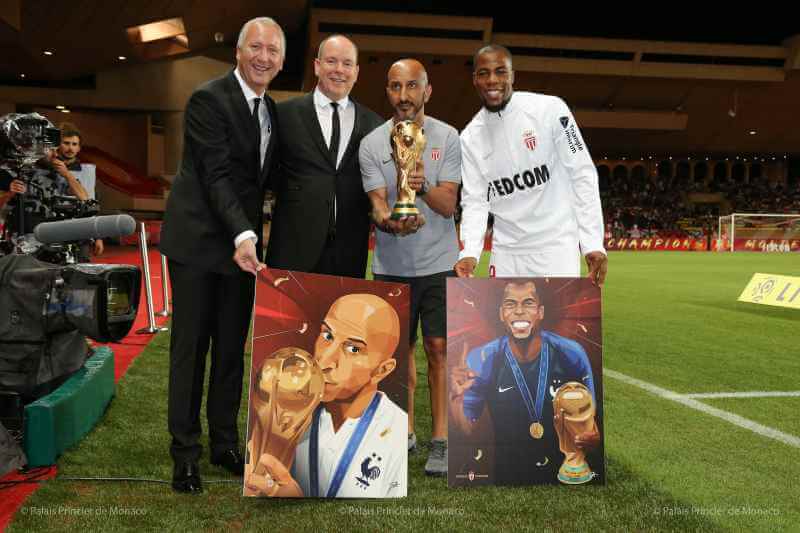 HSH Prince Albert II, accompanied by Nathalie Boy de la Tour, President of the LFP, Didier Quillot, General Director of the LFP and Vadim Vasilyev, Vice-President of AS Monaco, presented the World Cup trophy to Djibril Sidibé and Bachir Nehar who held it up to the crowd at the Stade Louis II. 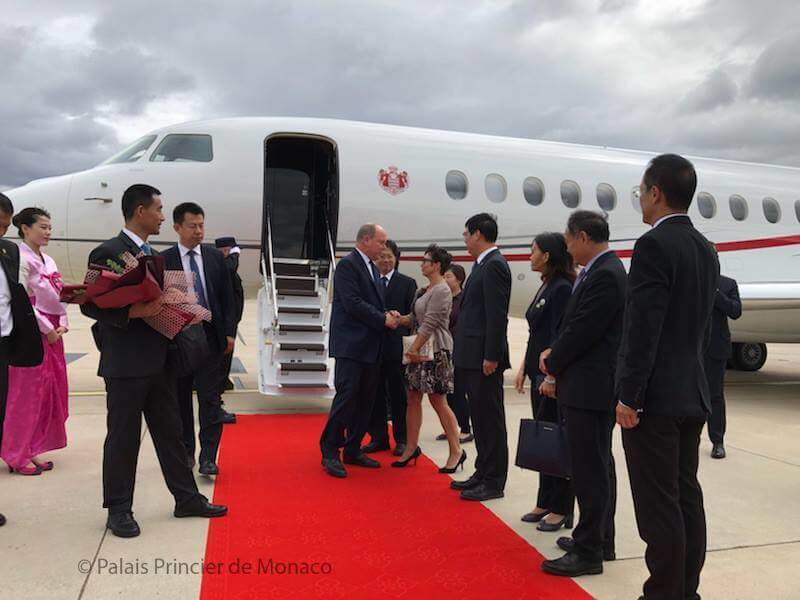 On Wednesday 5 September, HSH Prince Albert II began his visit to China in Yanji, capital of Jilin Province, where he was given an official welcome by local Chinese authorities when he got off the plane. 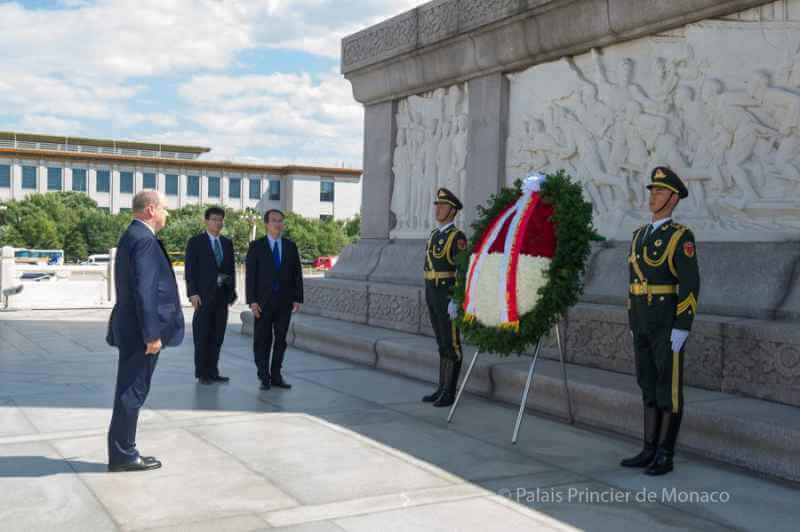 The first leg of his trip was devoted to the protection of the Chinese Tiger, the “tiger of love” a respected animal symbolizing power and courage but which is now threatened with extinction. Formerly present in large numbers in the Taiga and the boreal forests of eastern Russia, China and the Korean peninsula, its territory in China is limited to only two provinces in the north-east of the country where only 27 individuals remain. Since 2011, the Prince Albert II Foundation has pledged to support the World Wildlife Fund (WWF) for the preservation of this species, thereby tripling the surface of the protected area and strengthening surveillance against poaching. Difficult to observe in its natural environment, cameras hidden in the forest confirm an increase of its population. 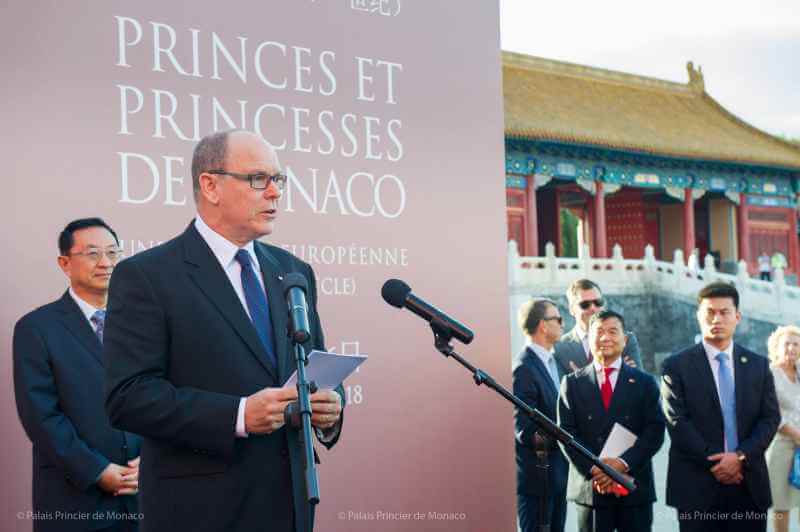 Prince Albert II inaugurated the ‘Princes and Princesses of Monaco, a European dynasty’ exhibition which is currently being held in two pavilions of the meridian gate in the Forbidden City, Beijing. 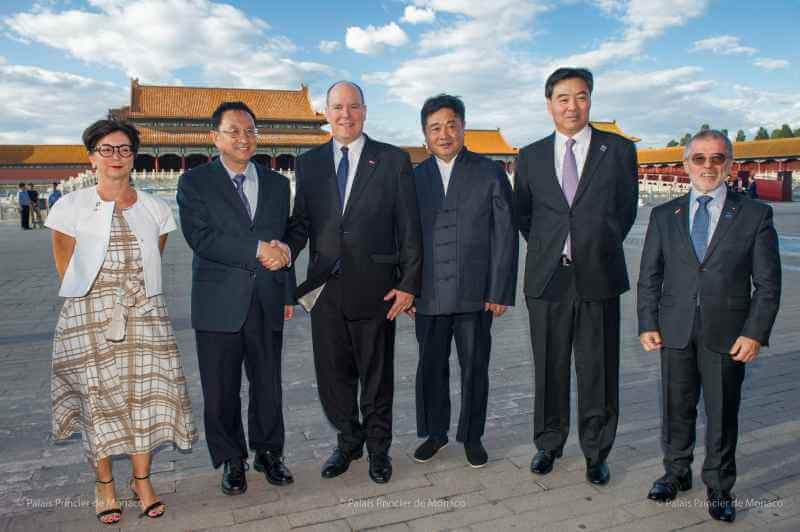 The Sovereign Prince was welcomed by Luo Shugang, Minister of Culture and Tourism of the People’s Republic of China, and Shan Jixiang, Director of the Forbidden City. He was then guided by Thomas Fouilleron, Archives and Library Director of the Prince’s Palace and curator of the exhibition. Organized by the cultural events management of the Grimaldi Forum with teams from the Prince’s Palace, the exhibition follows a chronological journey that evokes seven centuries of history spanning from the 13th to the 21st century. 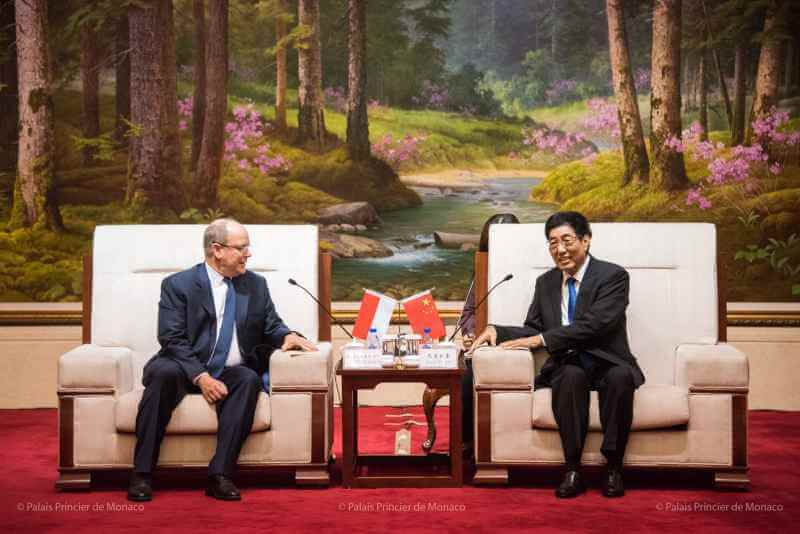 Prestigious works, rarely or never shown before, coming from the collections of the Prince’s Palace, the Oceanographic Museum, the New National Museum of Monaco, the cathedral and private individuals, made the trip to China for the exhibition. Tapestries, altarpieces, marquetry furniture, sculptures, precious books, silverware, jewellery, famous paintings (by Monet, Renoir, Cézanne), princely personal items and more all form the exhibition. One exceptional piece gives a particularly special aura to the exhibition: the princely throne. 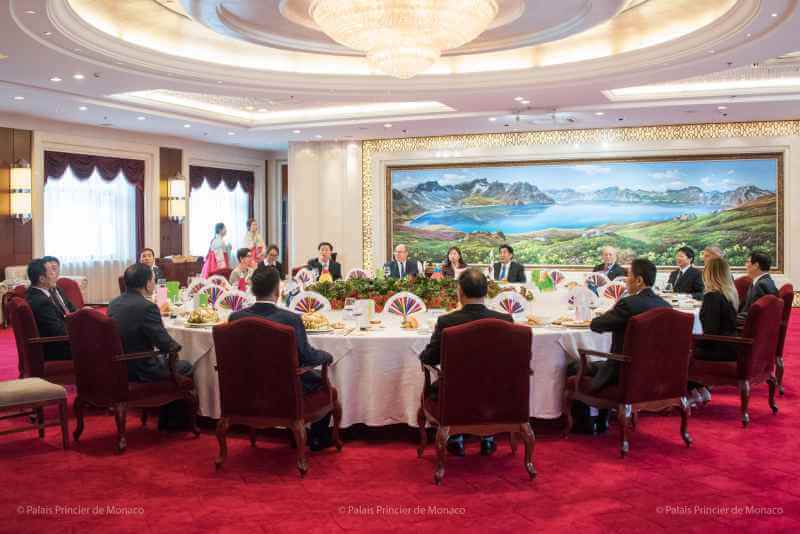 The inauguration day ended with a dinner hosted by the Monaco Embassy in China and the Grimaldi Forum at the Rosewood Hotel. 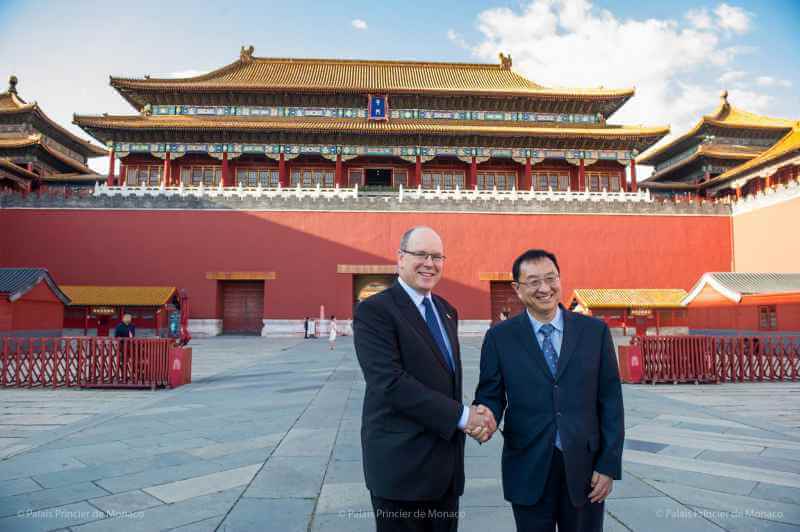 Prince Albert II and his delegation continued their trip through China at the Grand Palace of the People, where they were received by Xi Jinping, President of the Republic of China on Friday 7 September. 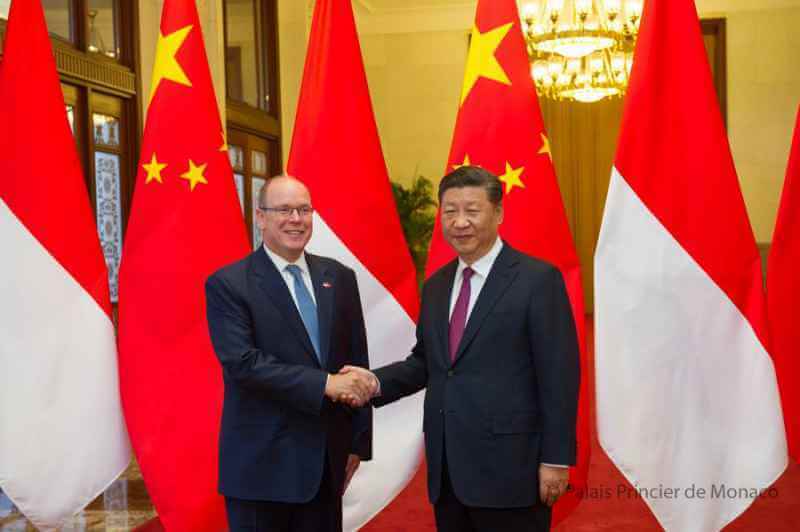 After viewing the detachment of three armies (land, air, sea) Prince Albert was received in front of an audience by President Xi, where he was thanked for his support in the protection of the endangered Chinese Tiger. 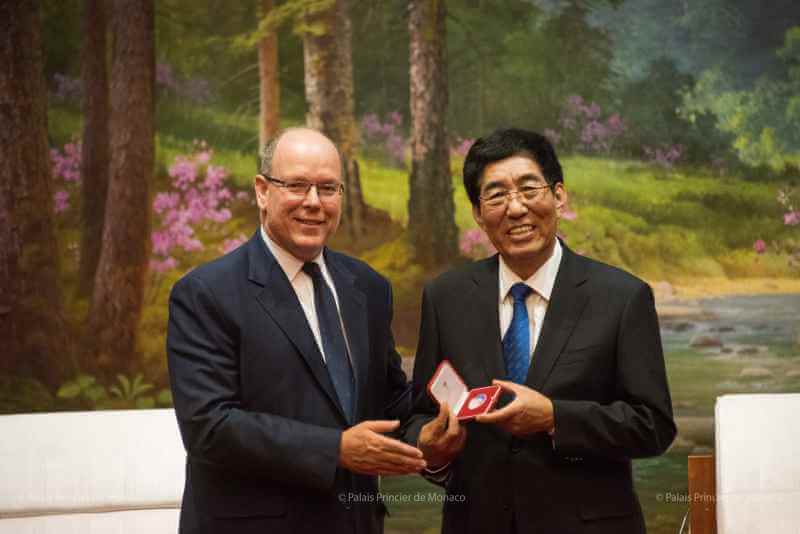 The Sovereign Prince then went to the Chinese Ministry of Ecology and Environment, which is engaged with the Prince Albert II Foundation in the fight against pollution of the waters of Lake Taihu, the third largest lake in the country. 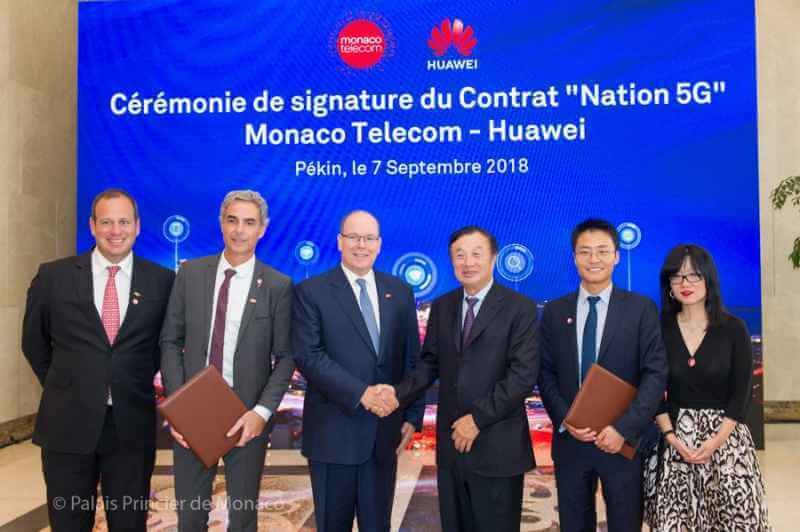 Later, in the afternoon, HSH Prince went to Huawei headquarters to attend the signing of the “Nation 5G” contract between Monaco Telecom and Huawei, so that the Principality will become the first country in the world covered by this new high-speed standard. 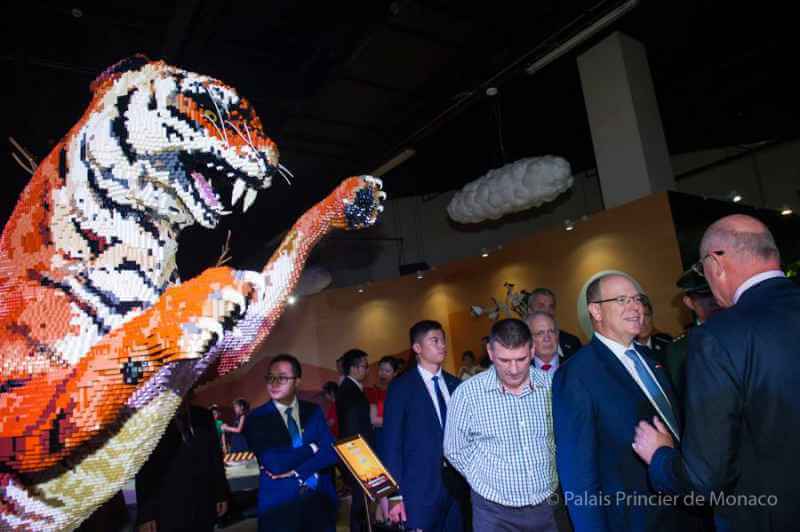 At the end of the day, Prince Albert visited the ‘Bricklive – Animal Paradise’ exhibition at the Olympic Stadium in Beijing. Life-size Lego reproductions of endangered species illustrate the need to protect biodiversity and the environment. 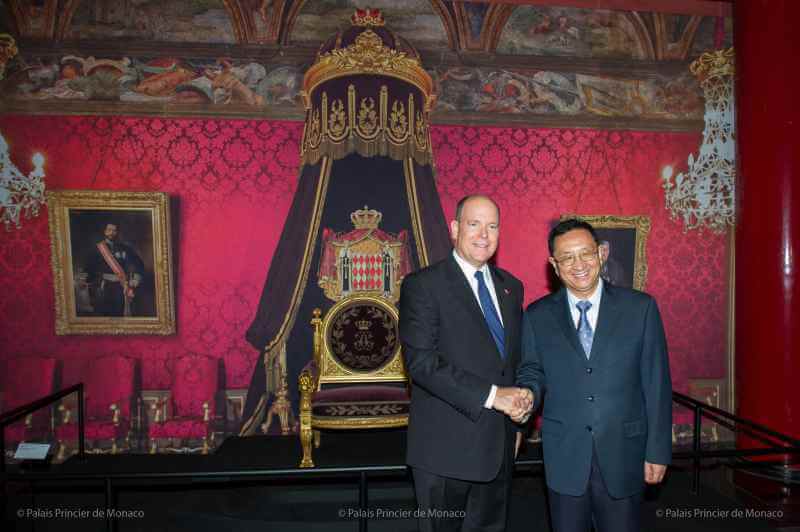 The exhibition supports the Prince Albert II Foundation by donating some of its ticket sales to the foundation. Some pieces from the exhibition will be presented in December 2018 in Monaco at the Grimaldi Forum, as part of the Bricklive Christmas Show. 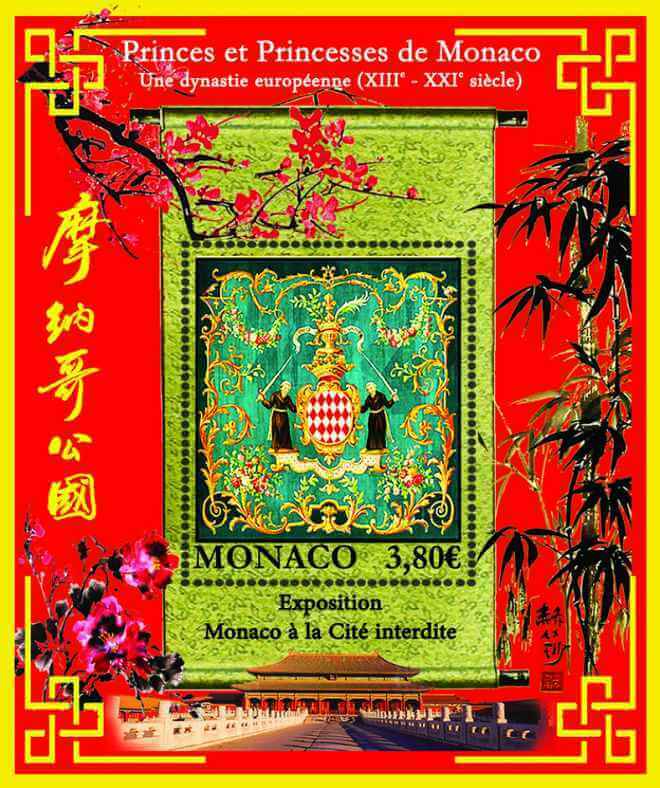 The Stamp Issuing Office issued on 7th September 2018 one the following commemorative block: 3,80€ – “Princes And Princesses Of Monaco, A European Dynasty (Xiii-Xxi Centuries)” Exhibition In China. 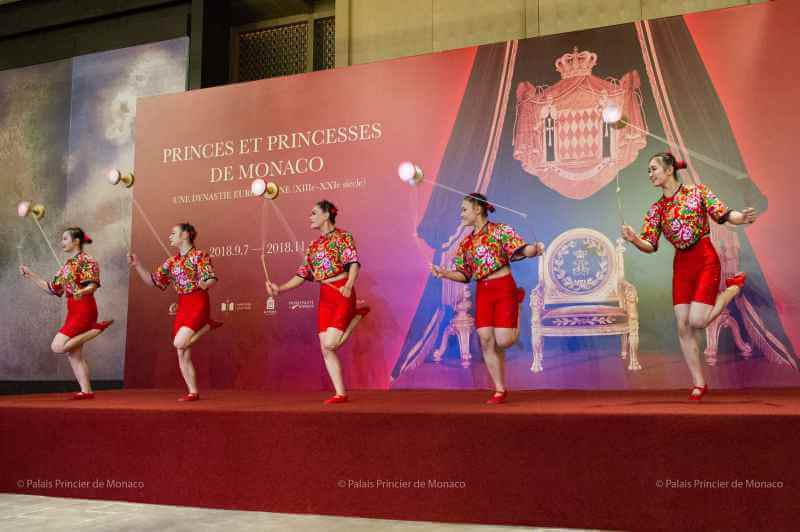 Having unveiled the splendour of the Forbidden City in Monaco last summer, this year the Grimaldi Forum is exporting to China the “Princes and Princesses of Monaco, A European Dynasty (from the Thirteenth to the Twenty-First Centuries)”. This exhibition will trace more than 700 years of the Grimaldi family’s history, and will run from 7 September to 11 November 2018 at the Meridian Gate of the Forbidden City. The main hall will be fitted out just like the Prince’s Palace. 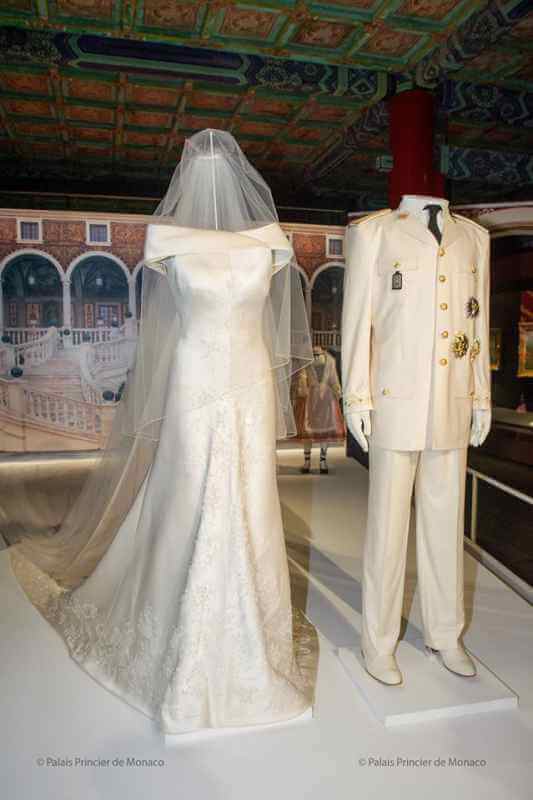 The second hall will be designed as a wedding hall and will display priceless crowns and jewels. H.S.H. Prince Albert II’s private art collection will also be exhibited outside the Palace for the first time, reflecting the Grimaldi family’s passion for art. This block is on sale at the “Office des Timbres”, the “Musée des Timbres et des Monnaies”, the post offices and philatelic counters of the Principality. Sale at the Stamp Issuing Office (Office des Timbres) – Fontvieille shopping center – 3rd floor lifts side Pharmacy. You can find the stamps of Monaco on the website of the Stamp Issuing Office: www.oetp-monaco.com (Source: monacochannel.mc). Recently, Princess Charlene of Monaco shared a photo of Princess Gabriella and Crown Prince Jacques on her Instagram account. 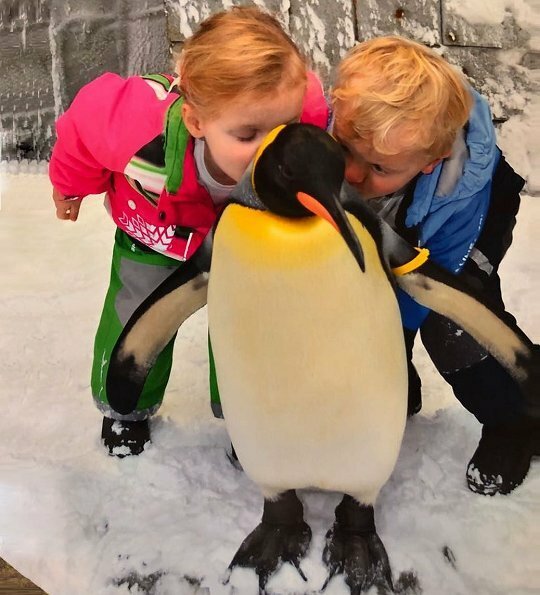 The photo was taken while Princess Gabriella and Prince Jacques were kissing an emperor penguin living at the mini-zoo. (Source: www.newmyroyals.com). 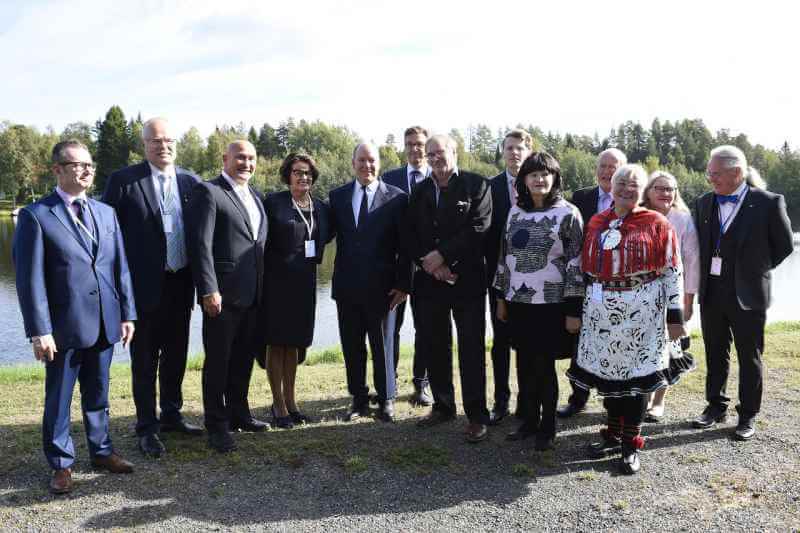 Prince Albert participated in the official opening of the UArctic Congress in Finland, organized by the University of the Arctic, with Finnish Prime Minister Juha Sipilä. Nearly 600 participants from over 30 countries participated in conferences with the overarching theme ‘Arctic 2030: a challenge?’. Political decision-makers, institutional leaders, representatives of Aboriginal communities, scientists and students from the circumpolar North assembled to discuss key environmental issues. 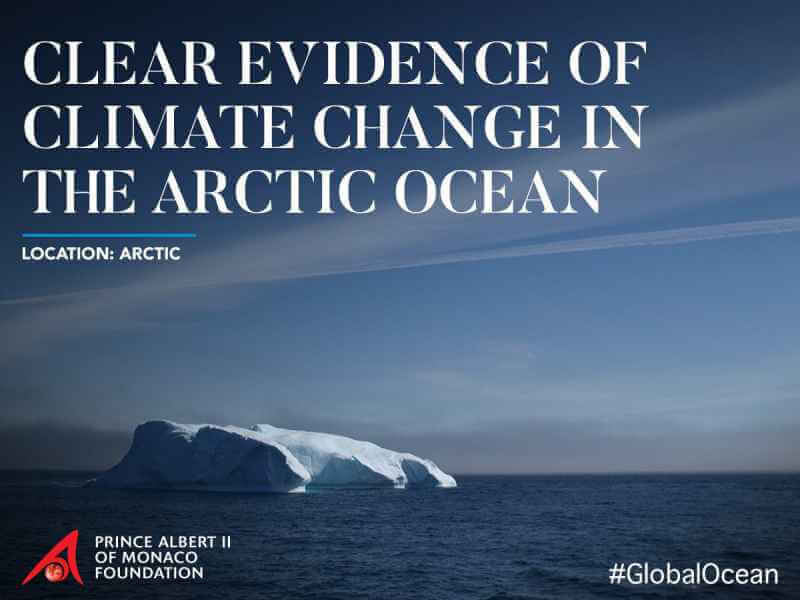 The Arctic region in the face of the effects of climate change was also discussed in a private meeting between the Sovereign Prince and the Finnish Prime Minister. In his address, HE Prince Albert II of Monaco emphasized the importance of federating the preservation of this region of the world, saying that the mission of the University of the Arctic is essential, because to ask the question of what the Arctic will look like in 2030, is to question the balance of our planet and its future. To fight against climate change, establish protected areas and create new models of sustainable and carbon-free economic development, are all issues that must be put in place today to be able to change the current course by 2030. 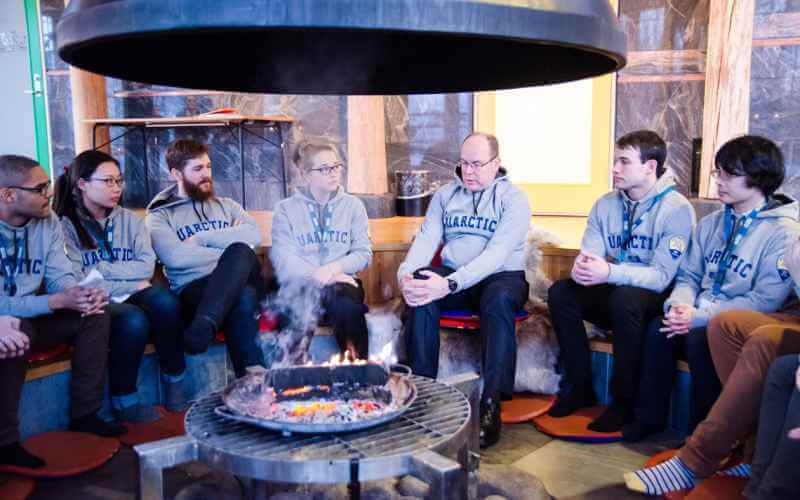 Finally, the Sovereign Prince welcomed the partnership between His Foundation and the University of the Arctic. The two entities signed an agreement for eight years now to carry out complementary actions for the Arctic region, the fight against climate change and other environmental issues. The princely family participated in World First Aid Day, organized by the Monegasque Red Cross. The event had a clear message: “Don’t need a license to save lives!” The YMC Marina turned into an open-air theatre, 137 associations presented their activities and hosted 2,000 guests for the unique and memorable event. 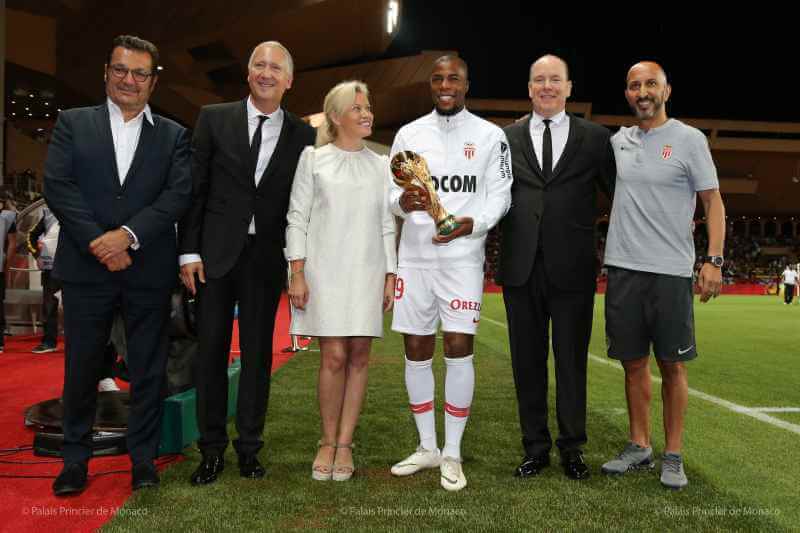 Prince Albert and Princess Charlene accompanied the hereditary prince Jacques and Princess Gabriella to the stands promoting learning and safety. Prince Albert and Princess Charlene’s young children were able to attend resuscitation demonstrations on models which each participant could bring home to refine their skills. Princess Charlene, already very committed to first aid through a drowning prevention program by her Foundation, took time to interact with many volunteers, while keeping an eye on her children, who were at ease in a space dedicated to 3-10 year olds which focused on road safety.